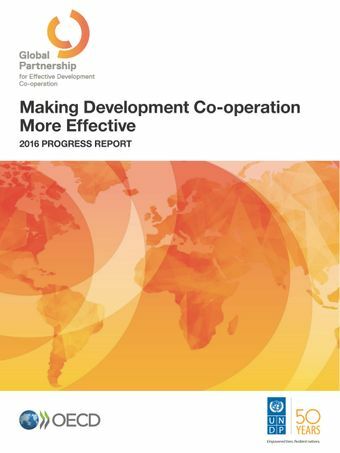 This report draws on the results of the 2016 global monitoring exercise carried out under the auspices of the Global Partnership for Effective Development Co-operation. It offers a snapshot of progress on internationally agreed principles aimed at making development co-operation more effective.The provision of data and information for the monitoring exercise was led by 81 countries, with the participation of more than 125 bilateral and multilateral development partners, as well as hundreds of civil society organisations, private sector representatives and other relevant development stakeholders in the participating countries. This report presents the findings from the exercise, based on careful analysis and aggregation of this information. It is intended to stimulate and inform policy dialogue at the country, regional and international levels, generating an evidence-base for further collective action to strengthen the contribution of effective development co-operation to the implementation of the 2030 Agenda for Sustainable Development and achievement of the Sustainable Development Goals.The report confirms the importance of principles and commitments to strengthen the focus on development results, ensure country ownership of the development process and the inclusiveness of development partnerships, and enhance transparency and mutual accountability around development efforts.